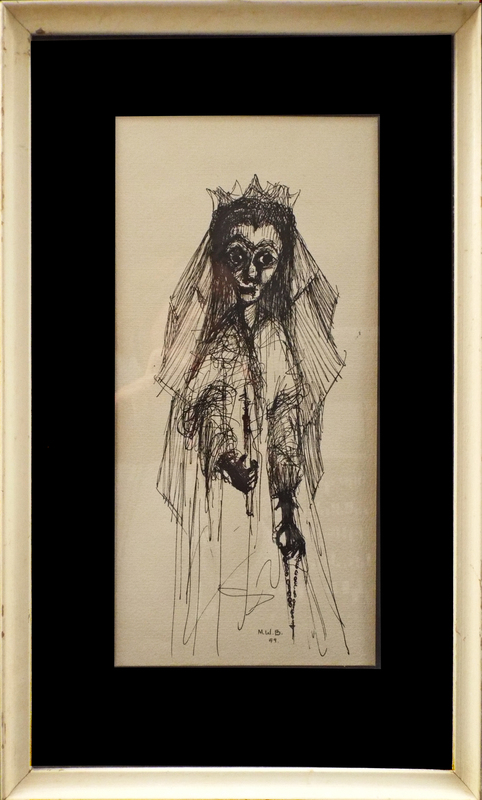 Grim image of a veiled woman holding a candle and rosary beads. M.W.B., . 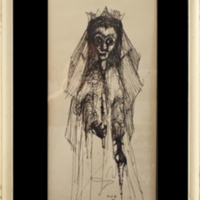 “[Bride].” Al Stewart Collection, MS 067. WCSU Archives, 25 Oct. 2017. Accessed on the Web: 22 Apr. 2019.